WEST BABYLON, N.Y. — A Long Island man won for the second time $1 million in the New York Lottery and was presented with his second big check on Wednesday, the two-year anniversary of his wife's death from cancer. What will be he do with his latest winning? "Enjoy life" with his new fiancé and share his good fortune with his family, Bruce Magistro said. Magistro, a construction worker, said winning again feels just as unbelievable as it did the first time. He'd won the top prize on a "Win $1,000 A Week For Life" scratch-off game. "I started scratching the ticket and I saw one Life symbol and then the second and I thought, 'This is impossible.' I saw the third life and even I couldn't believe it," he said. The Lindenhurst resident, now 48, first hit the jackpot in 2012 when he won on the retired Extreme Cash game. "At my last event, Yolando Vega told me there was always a chance I could win again," Magistro said. "I took her words to heart." In the years since Magistro lost his wife to cancer. Much of the money he won the first time around was spent on medical bills for his late wife. Now, through the healing process has found love again and is newly engaged. Now, he has his choice of payout: he could receive a guaranteed $1 million paid out in 20 annual installments and additional annual prize payments after that, for life; or he could take the cash value in a single lump sum of about $527,560 net. Repeat winners are rare but not unheard of. 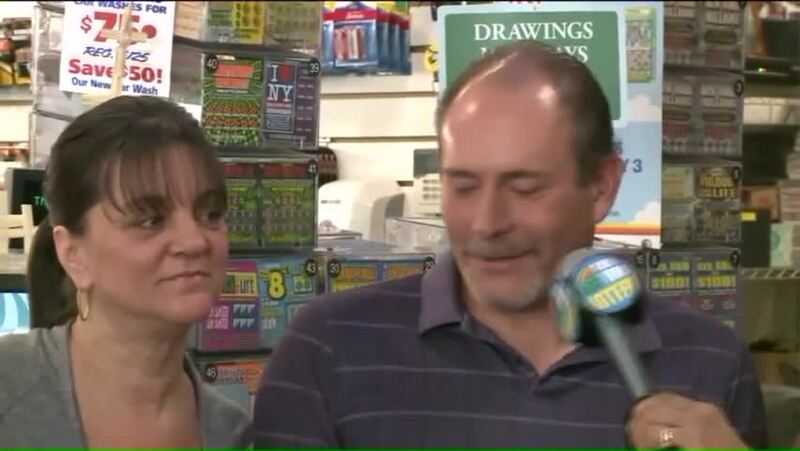 Last week, a woman in North Carolina who is battling cancer won the lottery for a second time.